The concept is simple: if we connect everything in our house to the Internet, from home appliances and lighting systems to door locks and climate controls, we’ll be able to control all of them remotely, making our lives easier. Smart homes have caught the interest of some major businesses like Google and Apple, and the smart home market is expected to reach more than $70 billion by the year 2018. But for all the possibilities smart homes introduce, many people have expressed genuine concerns over how secure these automated living spaces actually are. These are concerns you should definitely consider as you prepare to turn your home 6 Smart Home Projects You Can Take On This Weekend 6 Smart Home Projects You Can Take On This Weekend Here are six ways to add a little ambient intelligence to your daily routine. Read More into an interconnected domain. One of the most popular items used in a smart home is a smart thermostat Save Energy and Money With These Smart Home Devices Save Energy and Money With These Smart Home Devices One of the biggest benefits of a smart home is the energy saving technologies available. As well as saving money, you’ll also be pushing toward a more sustainable, convenient living situation. Read More . The company Nest, which was recently purchased by Google, makes devices that help control the temperature of your home. A major security concern that arises from smart thermostats is the ease with which hackers can gain entry. A recent demonstration showed one expert hacking a Nest thermostat in only 15 seconds. On the surface, you may think a hacked thermostat might not be such a big deal, but the device collects information on you and everyone living in the house. Smart thermostats like Nest know when someone is at home, what their schedules are, when they’re awake and asleep, and what temperatures they prefer. 2. Who’s Really Watching Your Smart TV? Smart TVs are certainly a convenient device, but if hackers gain entry to it, you could be in for a world of trouble 3 Real Security Risks Threatening Your Smart TV Entertainment 3 Real Security Risks Threatening Your Smart TV Entertainment Read More . Many smart TVs come with a camera. Cyber attackers who hack the device can then use that camera to spy on you and your family, even if you don’t have the television on. Due to a general lack of security standards, some hackers can even lock you out of your television entirely and ask that you pay some kind of ransom just to have access to it again. Here’s one area that almost needs no explanation. Many smart home users hook up their security systems to the Internet How To Build A WiFi Home Surveillance System With Your PC How To Build A WiFi Home Surveillance System With Your PC Read More to enable control from a smartphone app. These systems might include garage door openers, door locks, security cameras, and many others. Hackers gaining entry to these systems can cause obvious problems. Imagine if some anonymous cyber attacker determined whether or not your front door is locked while you’re away on vacation, or a hacker gained the capability to open your garage door in the middle of the night. For many smart homes, all it takes is for a hacker to infiltrate a relatively defenseless home network to gain access to these critical systems. Home communication systems can include anything from video conferencing devices to computers and printers. With these devices, people are able to communicate with other gadgets and other people outside of their homes. Many hackers can steal valuable information through passive attacks, or attacks that gain unauthorized access without actually changing any of the data or code. This can include eavesdropping on telephone conversations, monitoring email messages, and observing how people are interacting with their devices. Hackers that gain access to a smart home’s lighting systems can not only control whether a house’s lights are on and off, they can also have access to a home’s electricity. From there, hackers can mess with the amount of power a house is consuming, leading to an astronomical electricity bill for the homeowner. Cyber attackers may not get much out of this for themselves, but simply exerting control and playing mean-spirited pranks like this are far too common. Smart homes What Is A Smart Home? What Is A Smart Home? We recently launched a Smart Home category at MakeUseOf, but what is a smart home? Read More are often looked at as the wave of the future, but the proliferation of the technology should always come with a word of caution. People who adopt smart home technology need to know about some of the biggest security concerns revolving around not only their appliances but the central hub for controlling these gadgets: the smartphone. Smart home security, as well as BYOD security, need to improve as more people start creating their own web-connected homes and controlling them from their mobile devices. YouTube Music Is Now Free on Google Home SpeakersWill Linux No Longer Work on Future Windows 10 Hardware? I am just a lay person when speaking about technology, but I am not an idiot. When all the smart items (Tv's, doors, heat, etc..) will make life easier I thought are these people off their nuts & guess they are. A much more useful article would go on to describe actions a homeowner could take to enhance security. For example, change the wifi network name and login id from the default, require a password, and allow access only by authorized users. 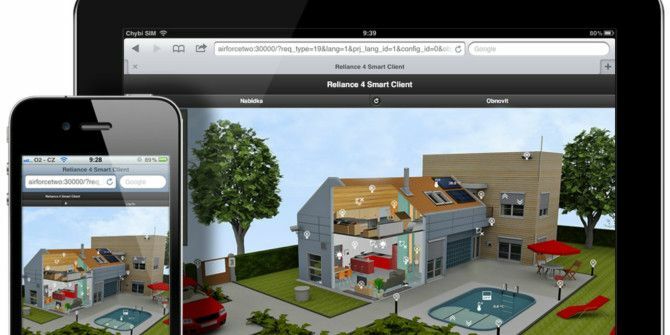 One can automate a house without using WiFi-enabled gizmos and gadgets. Trouble is that people think it's "oh, so kewl" to control everything with a smartphone.